Action Garage Door technicians are trained and ready to take care of all your repair needs in La Porte, TX. We hire only the best and then we train them to meet our high standards of customer service and workmanship. We are prepared to tackle your large, emergency-causing problems, whatever they may be. However, garage door repair does not always have to wait until issues cause an emergency. We also provide maintenance and repair the little annoyances that are usually indications that your garage door needs service. 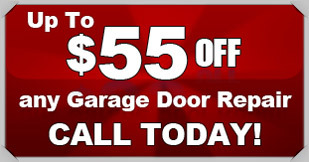 If you need expert garage door repair in La Porte, think Action Garage Door. Automatic doors are such an important convenience that they have begun to be considered necessities by many. With proper maintenance, they work reliably for many years, but sooner or later every machine has problems, and garage doors are no exception. Generally, the major, emergency-level failures have warning signs. If your door has a habit of being slow to respond to the remote, re-opening when you close it, leaving a gap when it closes or running loudly, you may have a serious problem waiting to happen. The motor, springs, sensors and other essential components wear out over time and must be replaced. As they begin to malfunction, they cause these annoyances. The garage door repair work that is done before an emergency happens is almost always more convenient for your busy schedule because you can plan it into your day. Too many garage door emergencies in La Porte, TX are preventable through regular maintenance and catching problems early. Malfunctions can create larger problems when they cause more parts to break. Faulty garage doors can fall into a closed position, damaging the door itself, and potentially your vehicle. Garage doors can refuse to open, leaving you trapped in your garage when you are running late. Here we are happy to perform emergency work for you when it is needed. Yet, we strongly recommend that issues be addressed before emergencies arise. Contact us today if you have questions about your door or the garage door repair work we provide. You can always expect prompt, fair service when you call the experts at Action Garage Door.